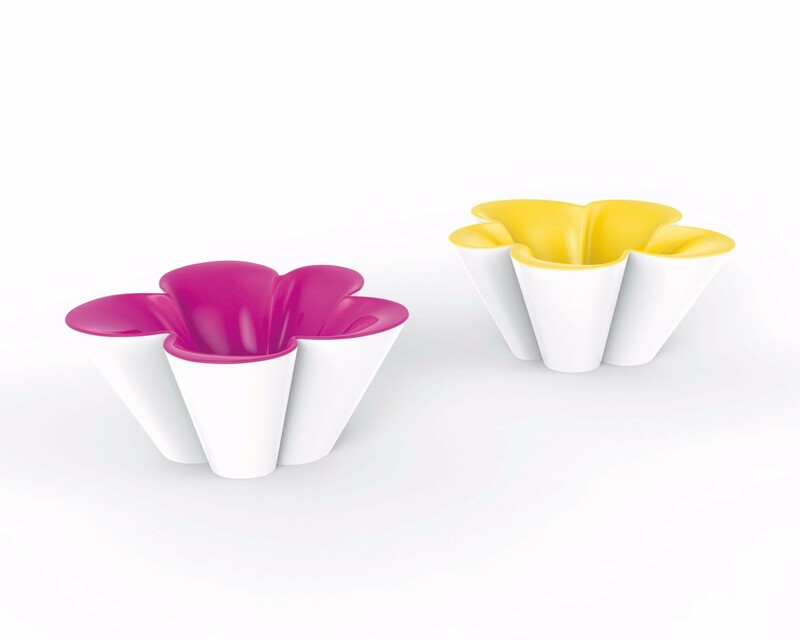 AGATHA, by AGATHA RUIZ DE LA PRADA brings youthfulness, innocence and spontaneity to VONDOM’s doors, being its first Kids collection. 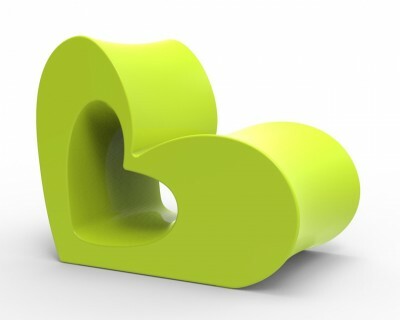 The designer’s characteristic icons are discerned instantly by their simple, sweet and refined shapes. 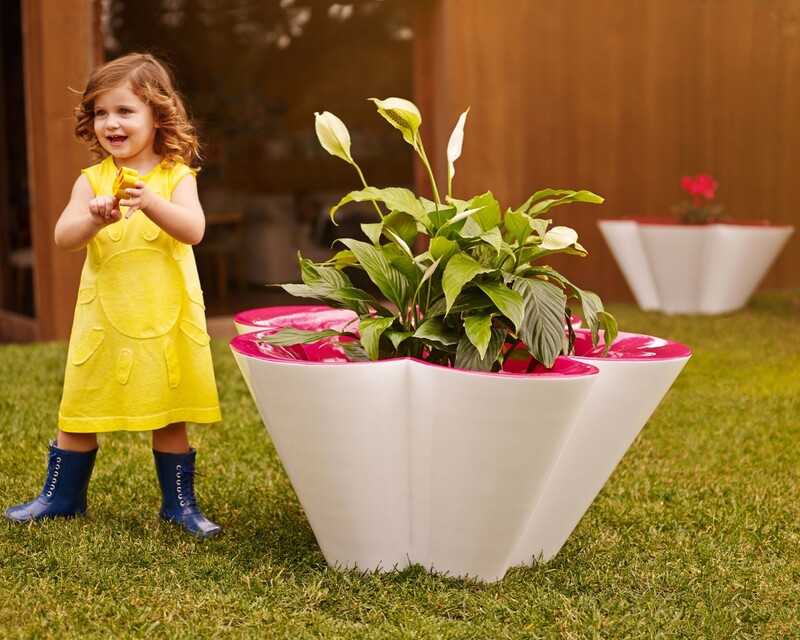 This is a funny, creative and optimistic collection, set out in child-like terms: flowers, hearts… This Kids furniture collection consists of three basic components: a plant pot, a table and a mini chair. 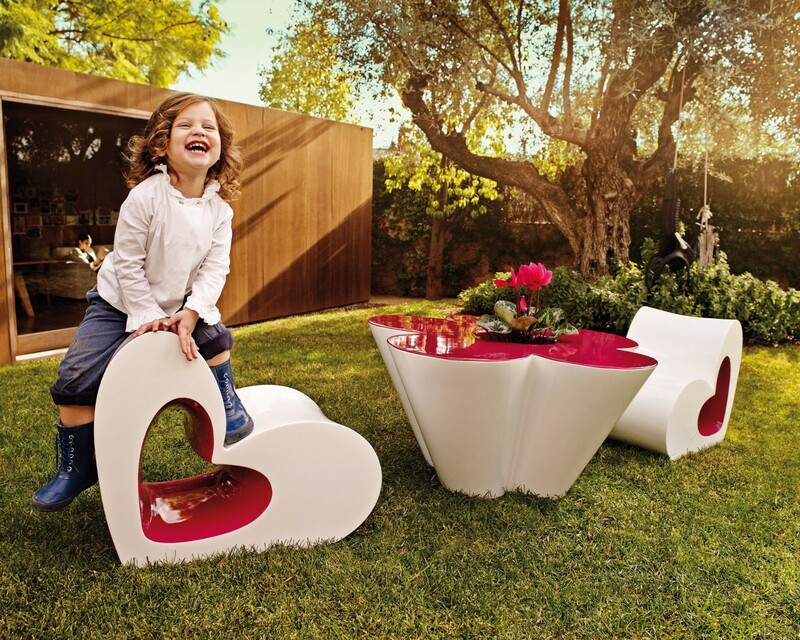 A flower with large petals is what makes up this table and plantpot, which are accompanied by heart-shaped stools. 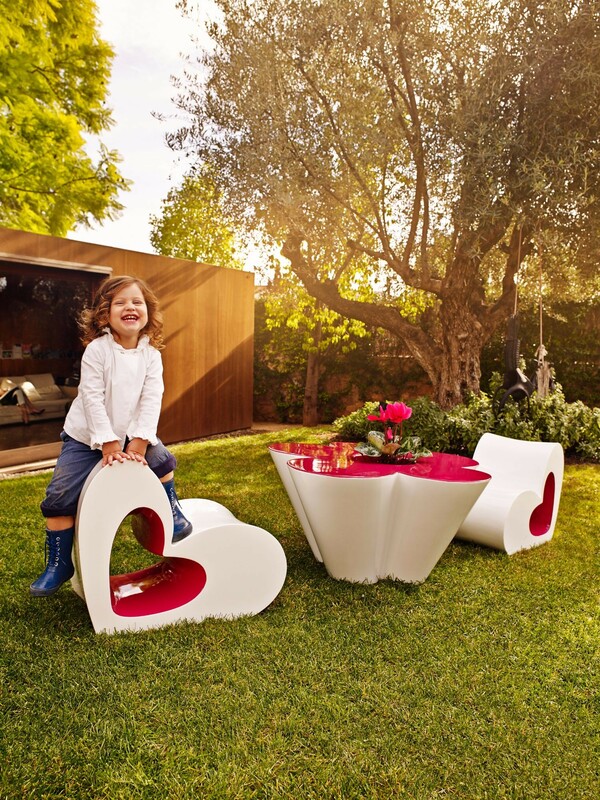 It’s highly resistant material allows for exterior use, making it possible to enjoy it in the outdoors, or as a playground area. 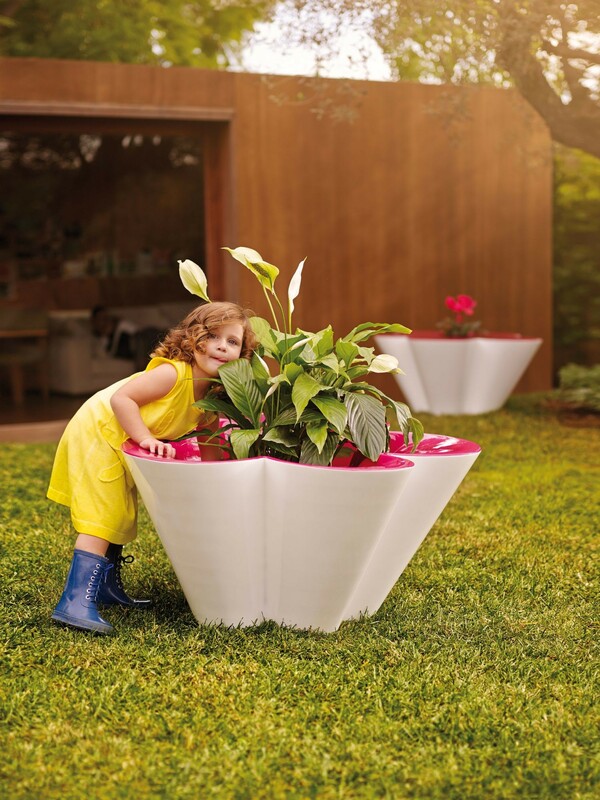 A dream-like garden where the vitality, imagination and ingenuity of children will become contagious is created thanks to these striking designer items. 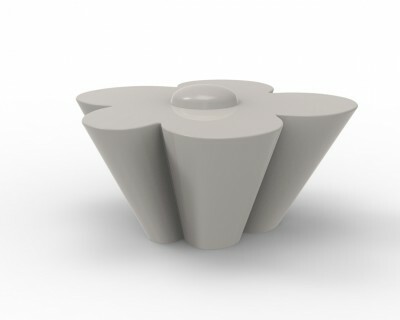 Vondom has broad international recognition. 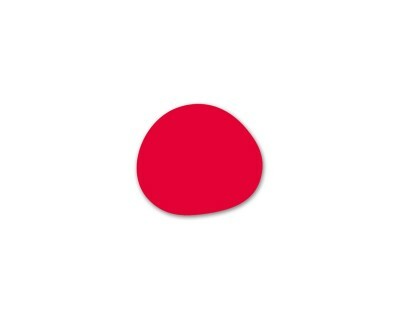 Our design culture is expanding and sought after in many countries, which is what has allowed us to grow and grow. We currently have two flagship stores, ten single brand showrooms and many shops around the world.